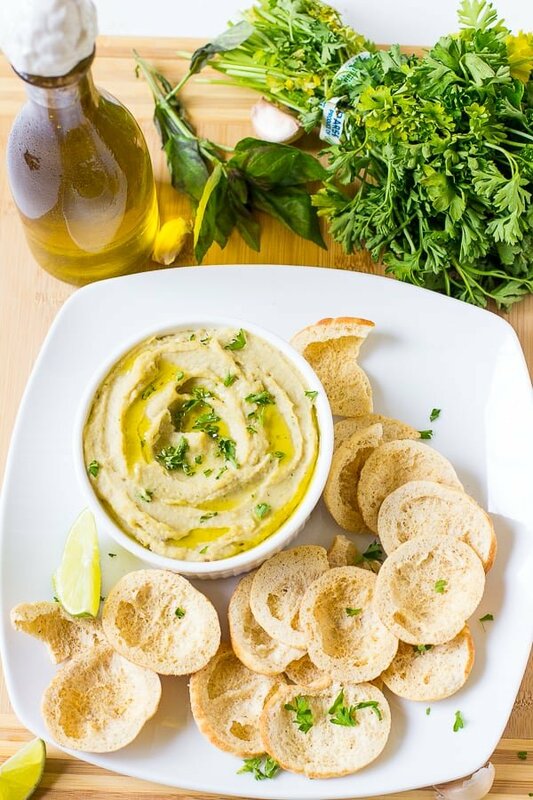 This Herbed Roasted Garlic White Bean Dip is ready in just 15 minutes! 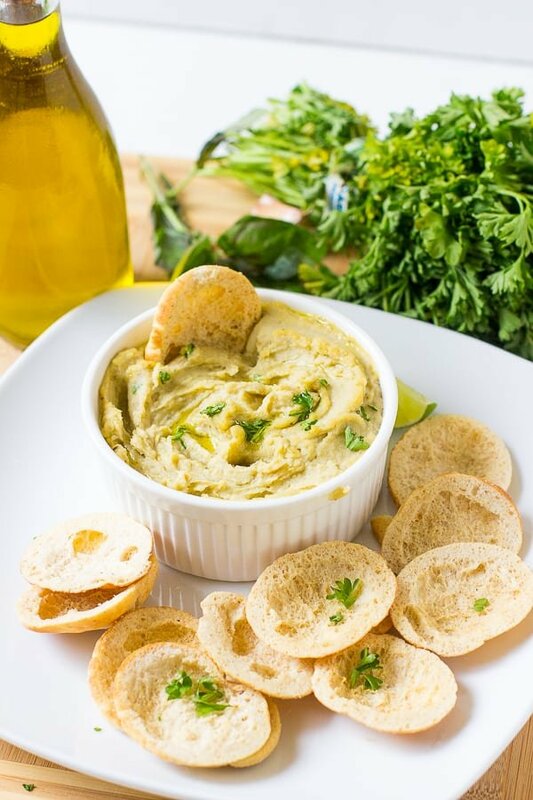 It’s a delicious smooth vegan dip that will be perfect at your parties! I’ve been trying to experiment with ingredients I usually don’t use – binging Netflix’s Chef’s Table will definitely do that to you. 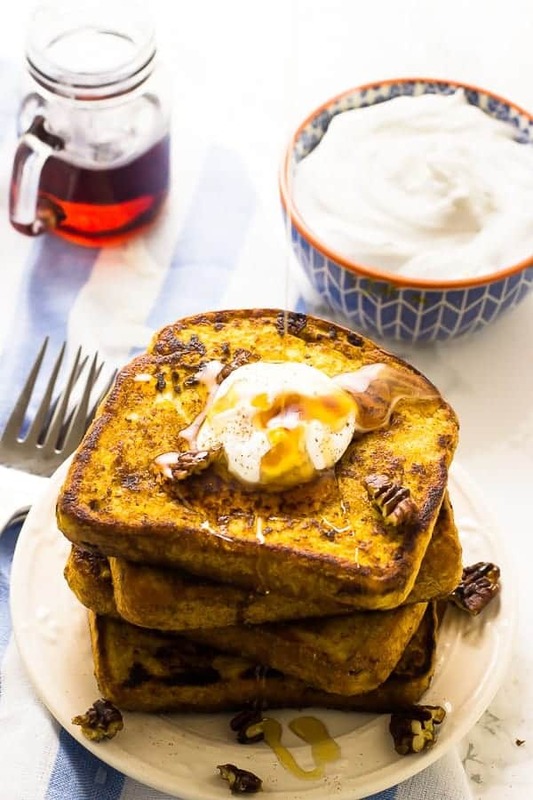 I want to get way more familiar with this unfamiliar ingredients, and create something so delicious with them that I’ll fall in love with them. 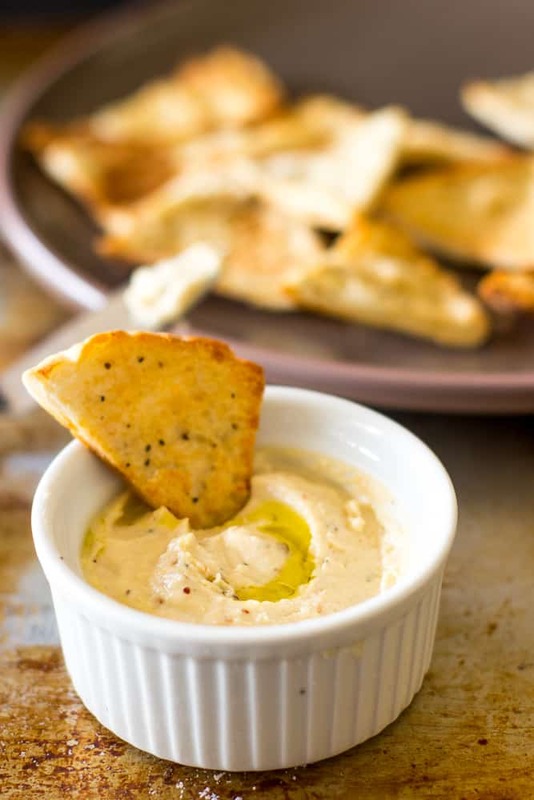 This Roasted Garlic White Bean Dip definitely falls into that category. When I say creamy, smooth, and most of all easy, that ain’t no lie. 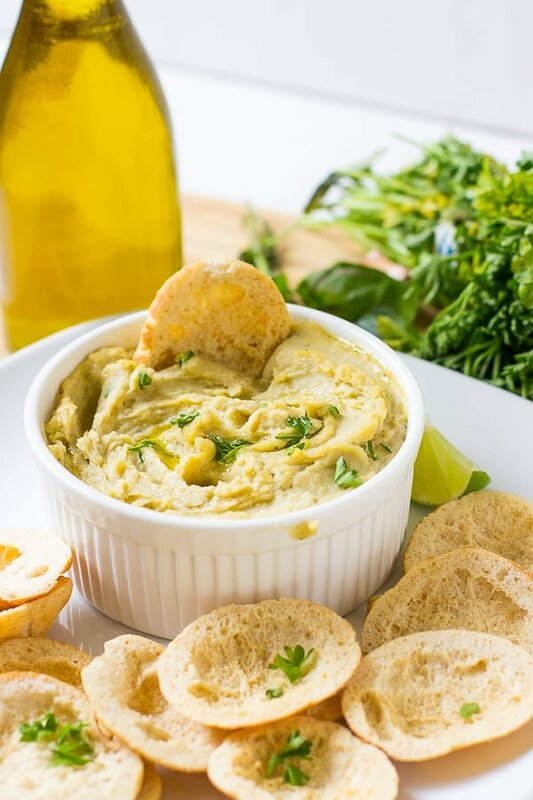 Looking for a perfect dip for your friends at the upcoming parties or hangouts? Step right up. I’m all over black beans, chickpeas, and even kidney beans, but I’ve haven’t really used white beans, which is kind of crazy for a vegetarian right? Well, the Mr. has said he wants to eat a lot more vegetarian meals this year and that immediately motivated me to come up with some new knock-it-out-of-the-park recipes. I had to act really cool, “oh wow that’s awesome” while my inner self was happy dancing that we would be able to finally go half-sies on meals! In light of this exciting development, I thought of Super Bowl food. We actually first met at a friend’s Super Bowl party, and so always either go to a Super Bowl party or host one ourselves, and I’ve loved coming up with new and delicious snack ideas. I’ve always wanted to try a white bean dip and never have, so I got straight to it. Now, my husband is known as the “Sauce King” in the house and I’m definitely “Dip Queen”. Bold words yes, but I have to say, this dip really follows up on that title. I started by roasting my garlic, and PS if you’ve never roasted garlic, you need to do it. NOW. It’s so crazy easy. Cut off a bit off the top of the garlic head, drizzle with olive oil, and then wrap in foil. Stick it in the oven at 400 for like 45-60 minutes. It comes out soft like buttah, it’s super mellow and it makes your kitchen smell like garlic bread heaven. Garlic bread heaven? Count me in. Garlic is my favourite spice – like, I should get a shirt that says Garlic-Lover – so if you’re crazy like me you can just spread this on toast. If you’re like normal people, you can use it in everything under the sun to replace regular garlic. In fact, I used it in a pesto I made later that day, and pretty much everything else for the entire weekend. Do it. Once your garlic is roasted, just throw all the ingredients into a food processor or high speed blender and blend. You can mix it up here if you like, but I went with a herbed white bean dip, and so added in fresh parsley, oregano and basil. While dried herbs are really convenient, fresh herbs always give a great flavour profile to your dish, so I would definitely get fresh herbs! Of course, I added my favourite, olive oil, to the mix and a squeeze of a lime (you can use a lemon too). 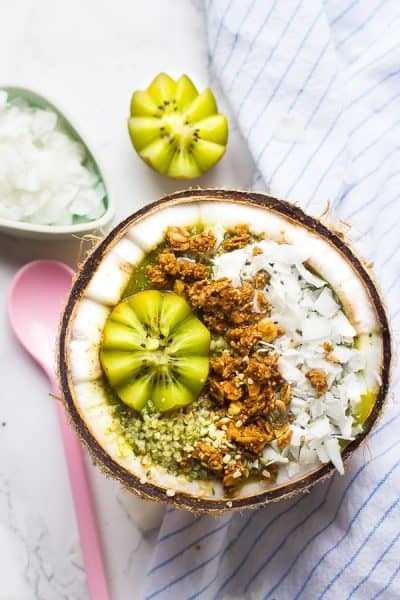 I’ve been eating this dip for 3 days straight and it just keeps getting better, so I would recommend making this like an hour or two before you need it so all the flavours can really come together. I won’t tell if you have a few “taste tester” bites. We’re just checking it for everyone else, right? If you try this Vegan Butternut Squash Soup please let me know in the comment section below, or tag me on instagram with the hashtag #jessicainthekitchen! For more exclusive recipes follow me on Instagram AND on Snapchat: jessinkitchen. Drain the white beans of their liquid and rinse in a strainer. Pat dry. In a food processor, add all the ingredients. Blend until smooth and creamy. 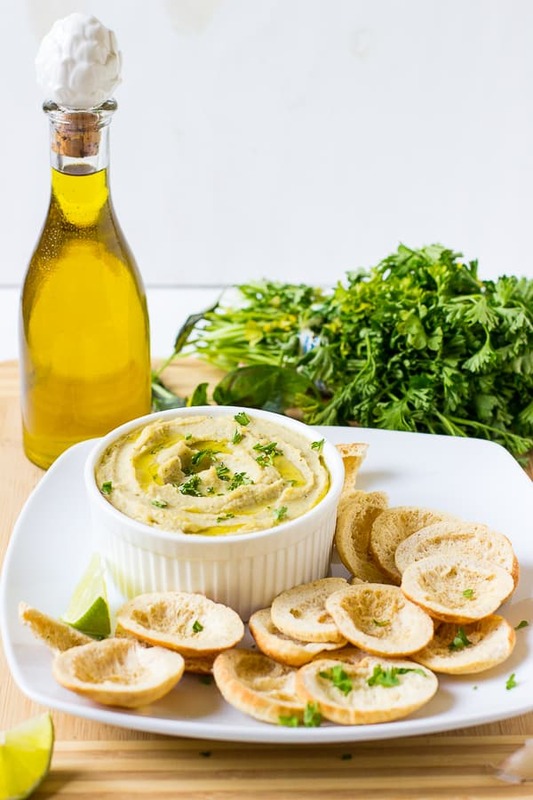 You can add more olive oil if you prefer you dip to be even thinner, but add extra seasonings to compensate for the extra liquid. Serve in a bowl, and if possible, allow to chill for 2 hours before serving so flavours can marry together. Drizzle with olive, garnish with parsley and serve with chips and enjoy! Mmm! This sounds so tasty! I love that you used roasted garlic – it’s definitely one of my favorite ingredients! Thank you so much for linking to my Buffalo Chickpea Dip! Thanks Alexa! You’re so welcome! Thank you Jessica…this looks great. Been really missing your blogs. So glad you’re getting better. My prayers are with you for your recovery. Thank you SO much. 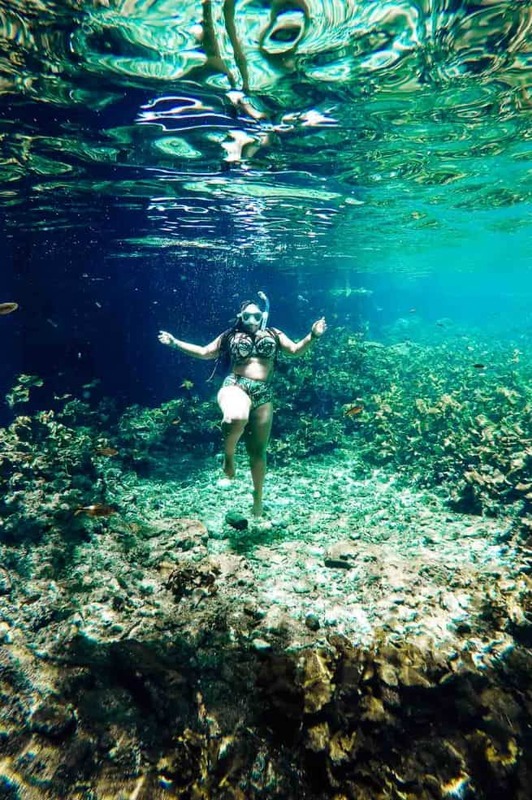 I’ve definitely missed blogging and glad to be back! Thank you so much for praying for me and for reaching out!! Thank you Wendy! I like to think of it as white bean hummus 🙂 without the chickpeas. You’re very welcome! Gracias Wendy ! Me gusta pensar en ello como blanco frijol hummus 🙂 sin los garbanzos . ¡Eres muy bienvenido! This looks and sounds really delicious and packed full of flavours with all those roasted garlic and herbs. What a beautiful, creamy dip! And hope all is well with you. Thanks Sarah! It’s getting better! This is such a pretty dip, Jessica! I love bean dips, especially when garlic is involved. I could totally see myself devouring this entire bowl in one sitting. What a perfect snack for the Super Bowl! Thanks Gayle! I devoured this by myself!! Oh, this dip looks SO good, Jessica! I seriously just want to dip my spoon straight into my screen! I love roasted garlic anything! This looks sooooo good! I might just have to make it for the weekend! Thanks Melissa! You really should!! This looks just incredible! I love easy dips like this! SO glad you’re feeling better and are getting back to blogging. This dip looks outstanding! Perfect for any party!!! P.S. You were a gorgeous bride! Thanks so much Liz!! So kind of you! Thanks Pamela! Haha I definitely did that! This dip looks amazing! I’ve only made hummus, so it will be fun to experiment with other beans! Thanks Ami!! Hope you had an amazing weekend too! Yay! Wishing you a fantastic 2016!! 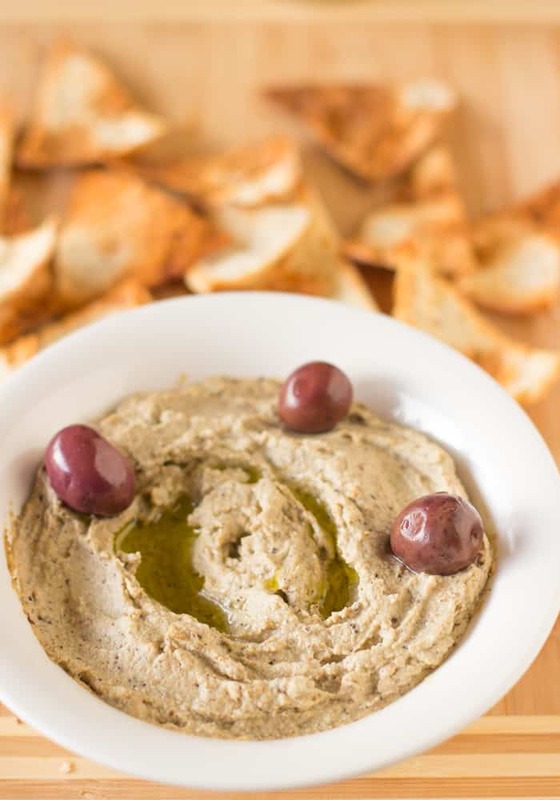 🙂 🙂 And this dip is the perfect way to kick it off – I love white bean and you cannot go wrong with roasted garlic! Thanks for thinking of my dip too!! 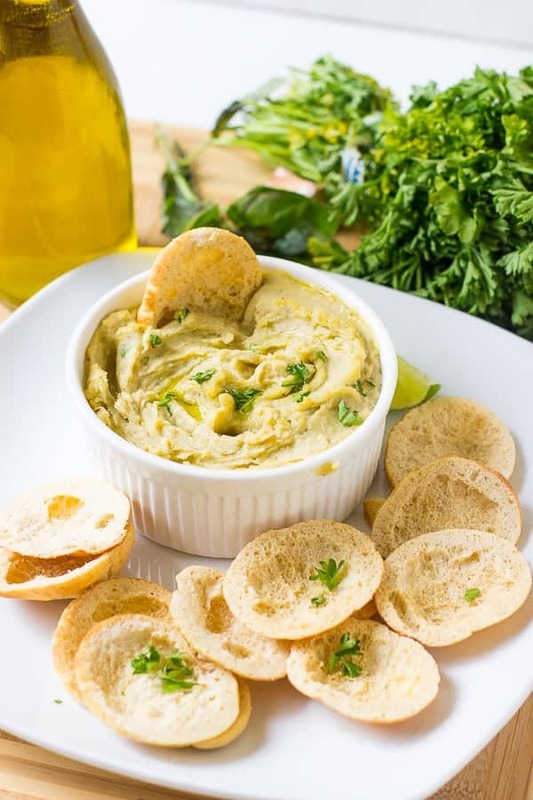 This dip looks so creamy and I love that roasted garlic! I could seriously eat the whole bowl myself! Thanks Marcie! It’s so possible! I’ve been looking and looking for a dip to replace hummus, because I really get sick of it after a while. This is the BEST white bean dip I’ve tried. Definitely a keeper. Thank you! We’re so happy for such high praise Court. Thank you for your kind words! !